Are Your Shoes Making You Look Older? Believe it or not, not every ageing fashion item is near your face. We've discussed colours that can age you and a very specific top style that one editor (me) avoids after 30. But what about shoes? Sure, of what you wear every day, physically they're the furthest thing from your face, but the impact they can have on your outfit as a whole is significant. An old-fashioned shoe style can really age an outfit, so below we've pinpointed a few shoe styles to avoid. That's not to say you should flat-out stop wearing them if you love them—and this especially applies if you're wearing the shoes with something particularly youthful like, say, denim shorts or a jumpsuit. But in general, when in doubt, these five shoe styles are best sidestepped if you're seeking a more youthful look. Read on to find out which shoes could be making you look older and shop these anti-ageing styles instead. Round-toe pumps can feel a bit dated with certain outfits. 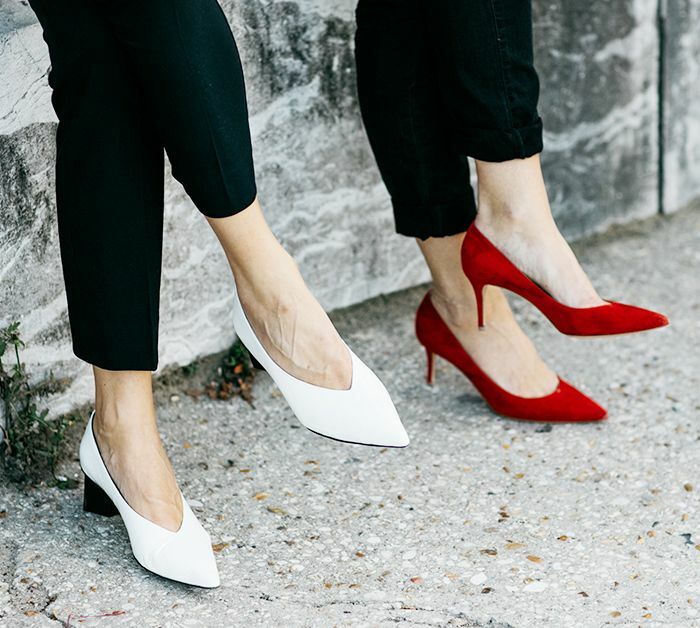 On the flip side, pointed-toe V-neck pumps look of-the-moment and cool. While wedges are certainly having a moment right now, they're tricky to get right. A safer bet? Block-heel mules. They look good with everything—trust us. Brogues have a tendency to look a bit clunky and serious unless you pair them with something fun, like a floral-print mini dress. Trainers, on the other hand, give an effortless quality to any outfit. The reign of peep-toe heels has passed (for now, at least). Instead, we recommend continuing to invest in ankle boots—they'll always make jeans, trousers, skirts and dresses look fresh. Sandals with footbeds are tricky to pull off, but on-trend pool slides lend a sporty, youthful feel to outfits both casual and polished. Next up, what does modest fashion really look like?